2018 (SOPHOMORE): Did not play during the 2018 season. 2017 (REDSHIRT FRESHMAN): Played in 10 games … Participated in 43 defensive snaps … Moved to offensive line from defensive line for three of the last four games of the season, seeing action in 32 snaps … vs. No. 21 Auburn (Oct. 21): Recorded a tackle and recovered a fumble … vs. No. 16 Mississippi State (Nov. 18): Played a season-high 30 snaps on the offensive line. HIGH SCHOOL: Ranked the No. 15 offensive guard in the state of Arkansas and the No. 69 offensive guard in the class by 247Sports … Also earned a grade of 83 from 247Sports and finished as the No. 14 offensive guard in the State of Arkansas by 247Sports Composite, a combined index of national recruiting rankings … Played on both the offensive and defensive lines at Little Rock Christian Academy … As a senior, helped Little Rock Christian Academy to a 12-1 record and to the 5A state semifinals under head coach Jeff Weaver … Named to the All-Arkansas Varsity second team defense … Defensively, recorded 93 tackles and five sacks … Has been clocked at 5.0 in the 40-yard dash. 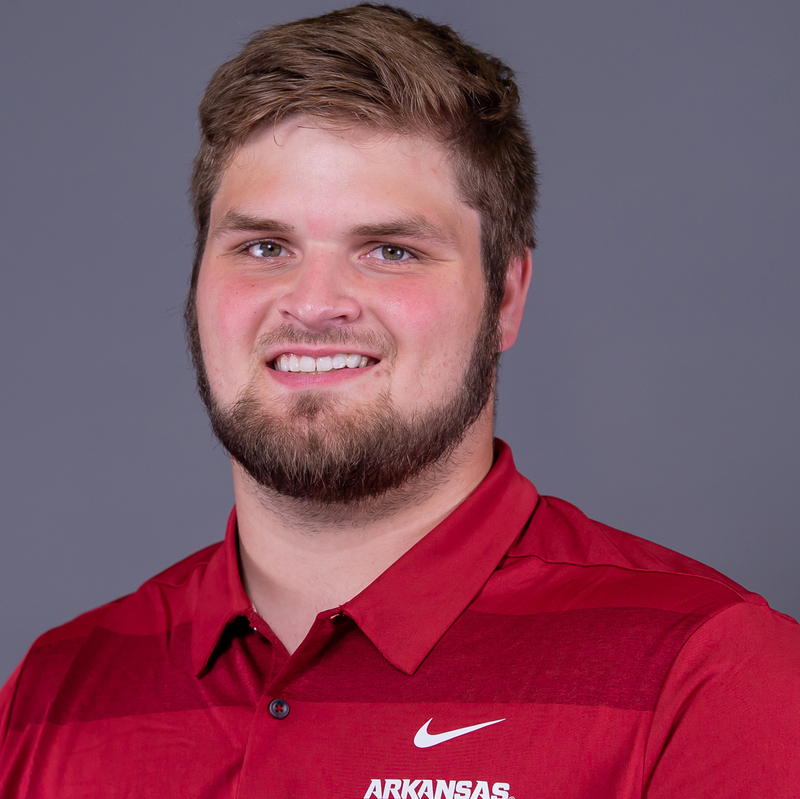 PERSONAL: Born on May 14, 1997 … Son of Cindy and David Hays … Has two brothers, Tyler and Logan, and two sisters, Cara and Courtney … Courtney played volleyball at the University of Arkansas at Little Rock from 2006-08 … Communication major.